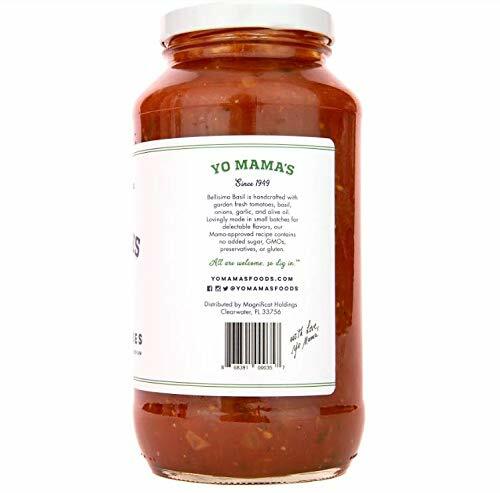 Yo Mama’s Foods presents the best-tasting, most authentic Tomato Basil Sauce on the market! Just as Grandma made it 75 years ago, our award-winning Tomato Basil Marinara is made from whole non-GMO vine-ripened tomatoes, not concentrates like the leading brands. We also rely on only the freshest basil, garlic, oregano, onions, and pure olive oil. You simply won’t find a fresher, more incredible gourmet sauce anywhere! Although most sauces can be loaded with sugars and sodium, our premium natural and entirely plant-based tomato sauce contains only 6 total carbs per serving and 160mg of sodium. Our customers report using our sauces as a part of a wide array of low carb and low calorie diets, including Keto, Paleo, and Whole 30. 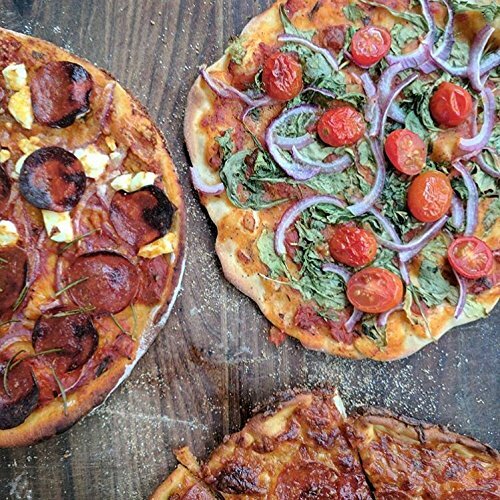 Our recipe is made only from Fresh non-GMO Vine-Ripened Tomatoes, fresh hand-cut Basil, Sweet Onion, White Cooking Wine, Fresh Garlic, Extra Virgin Olive Oil, Sea Salt, Oregano, and Black Pepper. 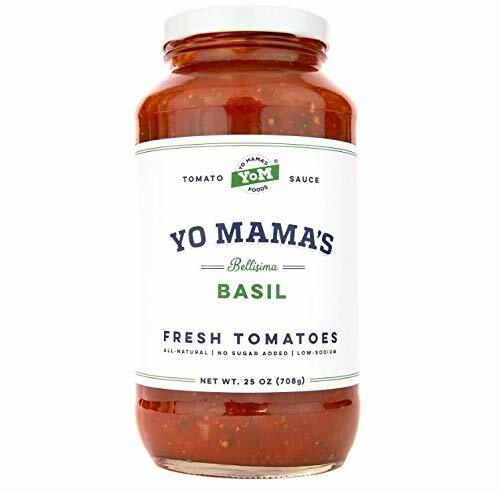 Add Yo Mama’s Gourmet Tomato Basil Pasta Sauce to your CART NOW to impress your family and friends with a sauce like no other! Pair with our incredible Balsamic to round out a truly Italian family experience! WELCOME TO THE FINEST GOURMET TOMATO BASIL EXPERIENCE ON EARTH. 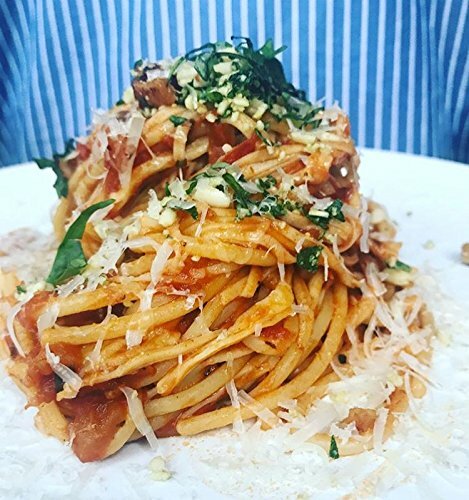 Handcrafted and slow-simmered with vine-ripened non-GMO Tomatoes, premium Italian Olive Oil, fresh hand-cut basil, and minced garlic and onions; our vegan, all-natural recipe was carefully designed to deliver an authentic Old World culinary experience right to your very kitchen. ALL OF THE PLEASURE, NONE OF THE GUILT. 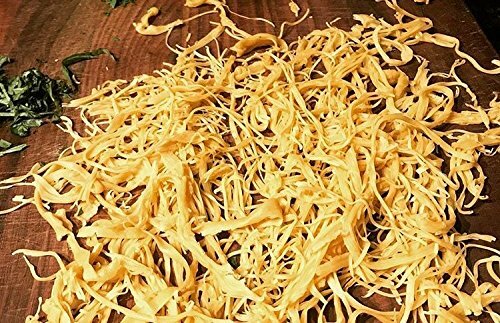 With only two grams of sugar per serving, our customers report using our gourmet natural pasta sauce as part of their Keto, Paleo, Whole 30, Low Glycemic, and Low Carb Diets! Unlike the competition, our sauces are made from only whole, natural ingredients, so you can rest assured that they are as slimming and healthy as they are indulgent. ENJOY A TRULY VERSATILE SAUCE THAT FITS EVERY OCCASION. Use our gourmet sauce on your favorite pasta, on cooked veggies, over cooked chicken with fresh mozzarella, or even to top your homemade gourmet pizza. This premium sauce also makes an incredible gift for the favorite foodie in your life! OTHER SAUCES ARE DESTROYING YOUR DIET! While other sauces can be loaded with sugar, sodium, and low quality oils; our delicious sauce remains low sodium, all natural, vegan, preservative free, and low carb. 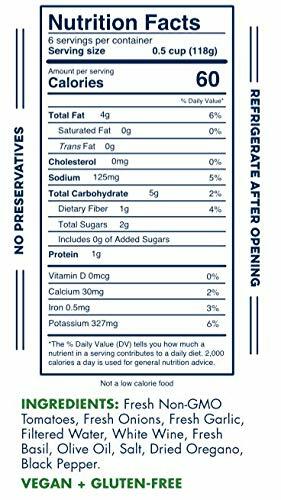 In fact, our Gourmet Tomato Basil Marinara Sauce contains only 6 total carbs and 160 mg of sodium per half cup! 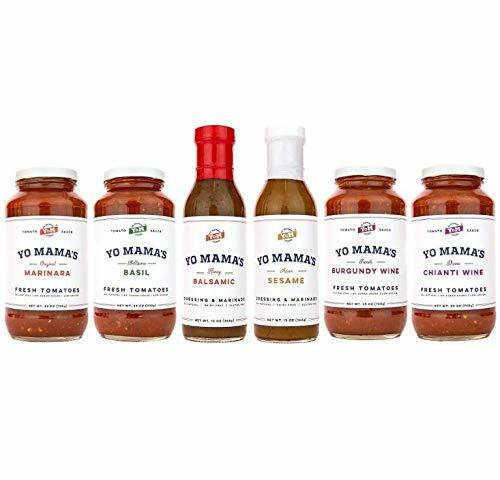 ADD TO CART NOW for a truly incredible, authentic culinary experience, and don’t forget to keep an eye out for Yo’ Mama’s other gourmet homestyle foods, including our Marinara Magnifica, Burgundy Wine Pasta Sauce, Bold Balsamic Vinaigrette Dressing, Zesty Sesame Dressing, and More!